Book Nadine Dereza as a keynote speaker. Nadine Dereza is an award-winning journalist who presents business, news and entertainment programmes on TV and radio. She is a highly experienced facilitator and conference host, chairing panel discussions and live events for a diverse range of clients across many sectors in the UK and abroad. For more information on Business presenter and speaker Nadine Dereza, contact VBQ Speakers founding agent Leo von Bülow-Quirk on leo@vbqspeakers.com or 0044 7833 727090. Nadine Dereza is an award-winning journalist who presents business, news and entertainment programmes on TV and radio. She is a highly experienced facilitator and conference host, chairing panel discussions and live events for a diverse range of clients across many sectors in the UK and abroad. She currently presents CNBC’s Internet of Things: Powering the Digital Economy - a technology programme investigating how digital innovation is reshaping industries. Anders Fogh Rasmussen and Ban Ki-moon. Nadine is knowledgeable on many topics including apprenticeships, the automotive industry, banking & capital markets, chemicals, communications, construction, creative, eCommerce, education, energy, environment, financial services, food & drink, IT, logistics, media, pharmaceuticals, sustainability, technology, textiles and transport. 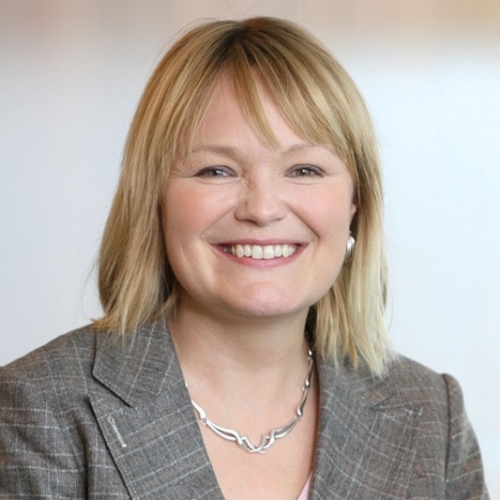 The UK Department for Business, Innovation and Skills appointed Nadine as a Non-Executive Director of the WorldSkills London Board. This was for the duration of the ‘Skills Olympics’ 4-year project to promote best-practice apprenticeships and vocational training. Nadine played an integral role in changing the way apprenticeships were perceived by pupils, parents, teachers, employers and policy makers in the UK, and she helped lay the foundations for ‘The Skills Show’. an Ambassador for Workers’ Educational Association (WEA). Nadine is a Judge for the Business Books Awards and co-author of Insider Secrets of Public Speaking.